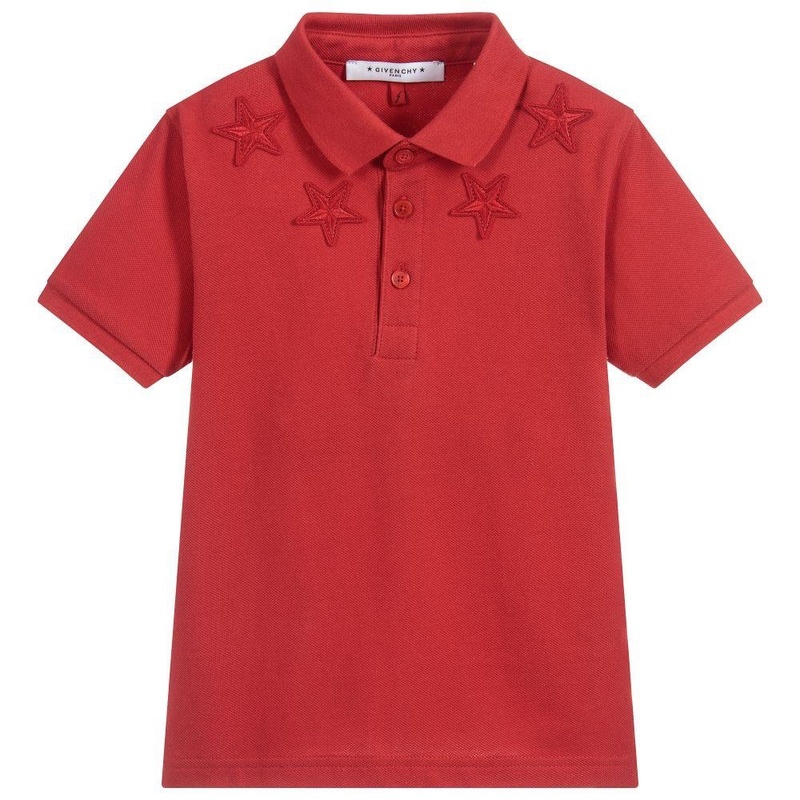 Boys Mini-me red polo shirt form Givenchy Kids. 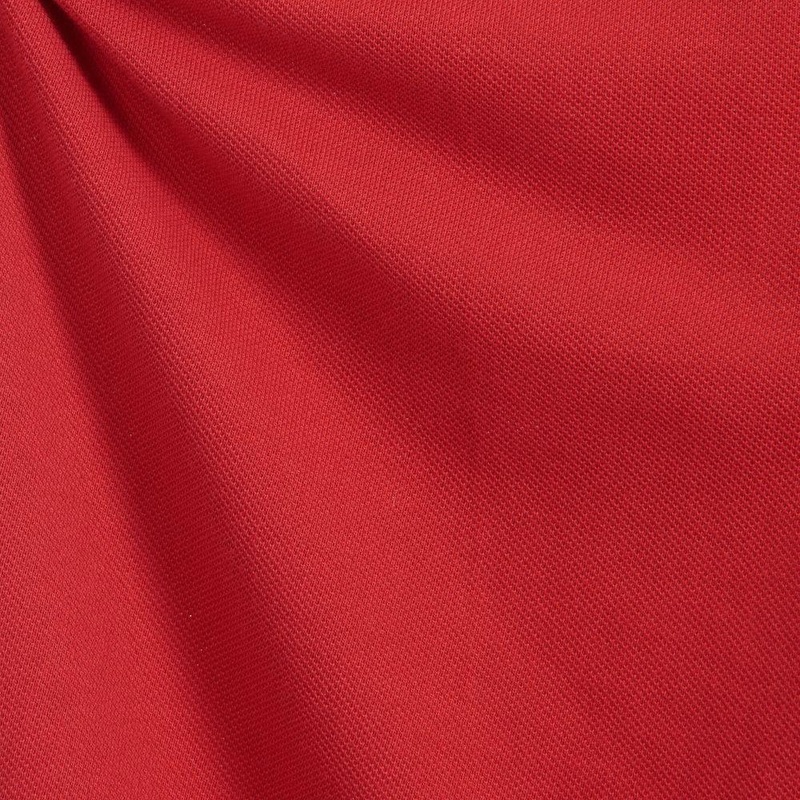 Made in luxuriously soft cotton piqué, with ribbed collar and cuffs. It has the designer's iconic stars in red around the neckline, with logo embossed buttons on the front.